Labelflow is a great program which can create labels designed to meet shipping needs of small and medium-sized businesses. The program Labelflow Barcode features an intuitive user interface along with an easy-to-use wizard making it a top program for businesses priting labels. 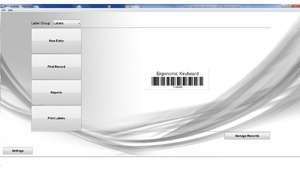 It connects to a database to fetch information associated with a barcode number. The wizard actually makes this program extremely easy to use. Label Flow Barcode 6.7 is a shareware program and can be used as a demo to try the software until the free trial period has ended. A full version of the program is available after the trial period ends. For security reasons, you should also check out the Label Flow Barcode download at LO4D.com which includes virus and malware tests. Additional screenshots of this application download may be available, too. Label Flow Barcode has a presence on social networks.